The Bosch HDC300 SDS-max and Spline Dust-Collection Attachment can help to extract dust when working on most Bosch SDS-max and spline hammers. It fits Bosch SDS-max and spline combination rotary and demolition hammers. 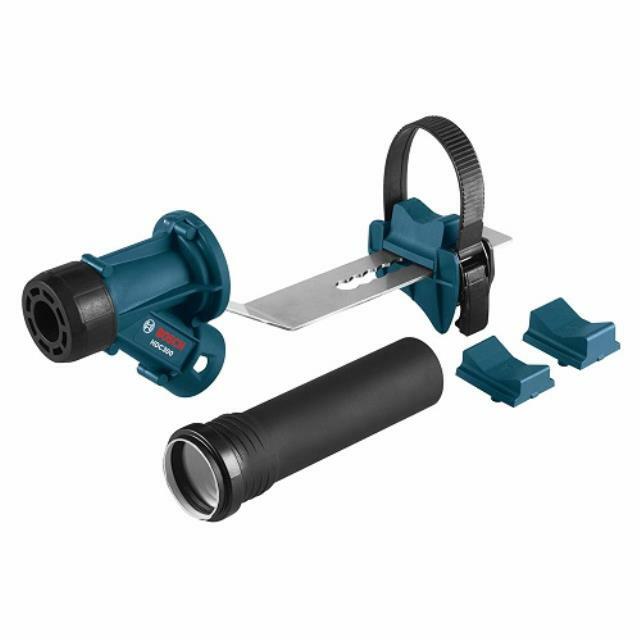 The HDC300 allows the user to access the chisel for installation, removal and adjustment without removing the attachment. The shroud itself focuses air suction from the vacuum around the chisel for maximum dust collection. And thanks to a durable clamping band, the attachment is easy to install and adjust on all the hammers it was designed to fit. The attachment also features a metal extension arm that can be adjusted to position it correctly around the chisel and to accommodate different chisel lengths.